For a casual, Middle Eastern lunch in Williamsburg, Samesa is where it's at. 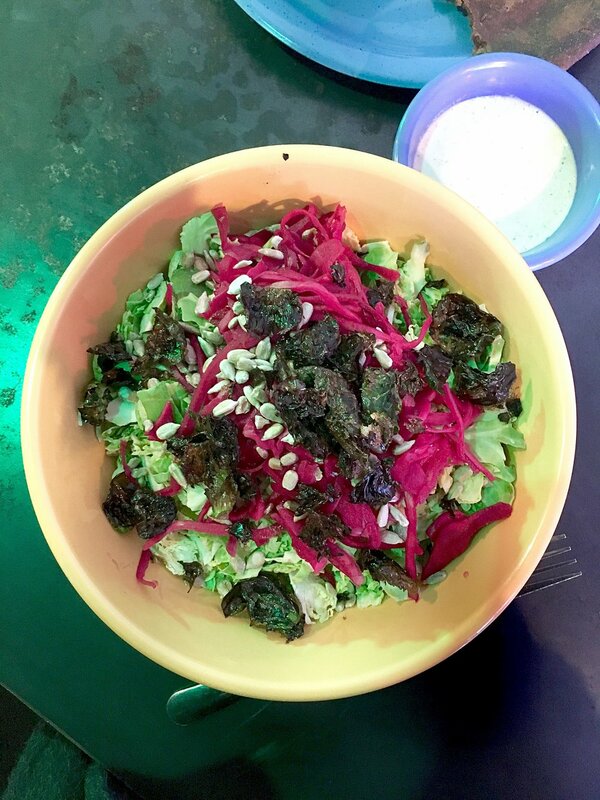 This tiny spot, inspired by a hole-in-the-wall falafel joint, offers a some seriously colorful, vibrant, and flavorful food. 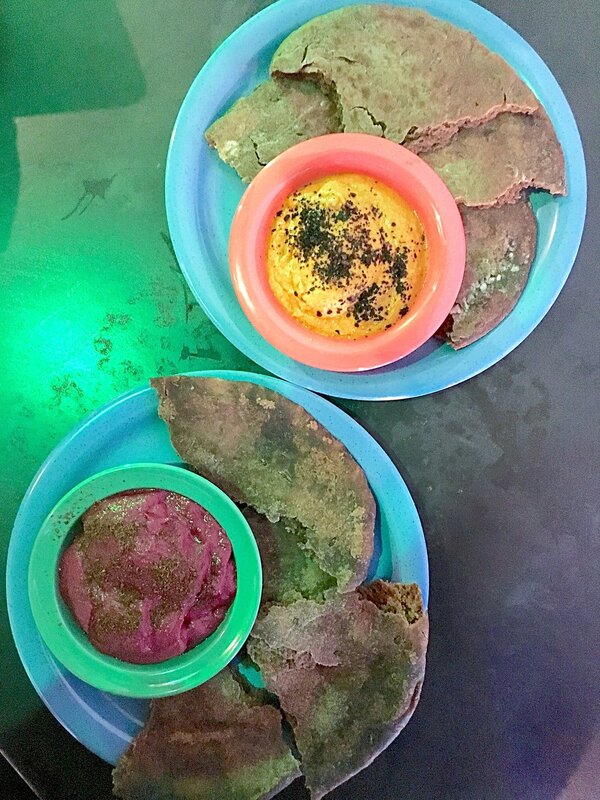 Both meat and veggie options abound, and I always tend to start with some of their freshly baked pumpernickel pita and housemade dips. The carrot romesco with urfa biber and roasted beet with sumac dips are both faves of mine, but you really can't go wrong with any of them. The mezze plate above makes for a legit lunch in itself, and involves beet-pickled eggs along with the chef's choice of various dips, salads, and other pickled goodies- so delish! Fresh dishes like the raw squash and zucchini salad with smoky eggplant purée make for a light and healthy option, while the braised lamb and chickpea sandwich is the perfect choice for the meat-eaters. 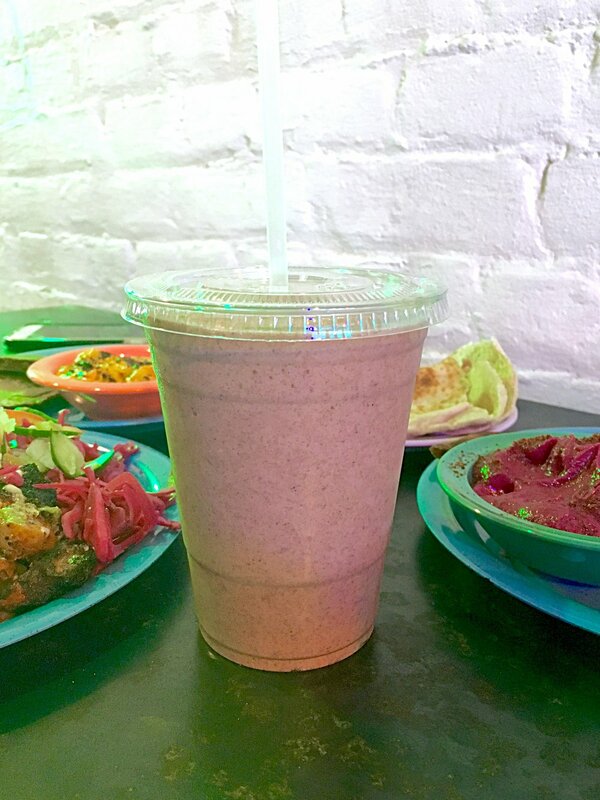 Samesa also makes some pretty tasty and unique smoothies- the tahini date with coconut & cinnamon tastes like a creamy milkshake, but is actually vegan! As you can see, there's truly something for everyone, and I highly recommend you check it out, stat!